If your little boy (or girl!) has his heart set on a Lego themed birthday party, you’ll love this roundup of Lego party ideas! You’ll see entire party set-ups, a variety of birthday cake styles, game and activity suggestions plus free party printables to help you create your own Lego celebration. Yeah, love makes the world go round but evidently it takes square Legos to build it. Keep kids busy for hours with these 10 DIY Board Games Kids Will Love. These 8 DIY Lego Travel Cases to Keep You Organized are the perfect solution to Lego playtime on the go. This unique party combines Legos and an Asian theme for the coolest party. Everything from the dessert table to decorations around the party encompasses the idea of this party. 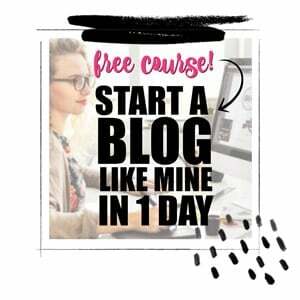 You’re sure to find some amazing inspiration from all of the great ideas featured in this party. Your little ninjas will love this theme. Perfect for any kid who believes they are a master builder themselves! Legos are all around at this party, making the theme clear. From the party favors to activities to even the party invitations, it all focuses on the ultimate toy, Legos. You’ll be sure to find some great ideas for your very own party here. The backdrop behind the dessert table at this party is so cool and would be easy to create your own version! Not only is that eye-catching, but all of the details on the desserts and even the little food labels are perfect. This party spared no detail when it came to ensuring everything was perfectly themed. Legos, Legos, Legos! If you are in need of a party theme that screams Legos, this is the one to get inspiration from. With Lego-themed place cards, food labels, and desserts, you will definitely find something to fit your Lego-themed party needs here. The invitations for this party are adorable! They would be so easy to make with some sheets of construction paper. This party doesn’t forget the Legos when it comes to decorations. Spell out the birthday boy’s name with them for a fun surprise! This party not only has some fantastic ideas, but also a free party activity printable! Keep the kids busy by letting them design their very own Lego minifigure. Not only is this fun activity mentioned, but it also includes some other activities that will keep everyone at your party busy such as pinning the pants on the Lego man. If you’re in need of some fun ideas for party activities, this has a few to choose from. Pick a few of these to keep all the kids at your party busy the entire time. You’ll also be able to find some cute dessert ideas here as well. This fun-filled party has a great idea for a Lego-building contest. This would be a fun way to see who can make the biggest or most creative Lego figures. Pick out some small prizes to give out for some extra fun too. The DIY coloring book featured here would be a fun party favor to send each guest home with. Simply put the book together and hand out as guests leave. Include a little pack of crayons as a little something extra. This will also give you some great inspiration for decor throughout your party and dessert decorations! If you’re in desperate need of ideas for your upcoming Lego party, look no further! 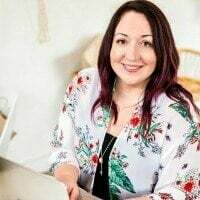 This will have you covered with ideas for invitations, decorations, food, or whatever else you need to have the perfect party. Everything here is perfect for a Lego-themed party! The color theme for this Lego party is different, but still looks amazing! This party uses a yellow, black, and grey that go together perfectly. Instead of the super bright primary colors featured in other parties, this one takes a turn from the regular. If you’re looking for something a little different, be sure to check this out! All of the details of this party ensure that everyone who attends will be able to use their creativity and put Legos to good use! The dessert table is perfect and full of amazingly-themed desserts featuring classic Lego Ninjago characters and shapes. There are also some fun party favor ideas here! This blue and orange birthday party is a little different, but still super fun! The bright blue and neon orange compliment each other perfectly and still bring in some great pops of color. There are also some fun party activity ideas such as a Lego relay race and a chance to participate in a Lego hunt. Perfect activities that kids are sure to love! These part invitations are so adorable! With the little circles that pop right off the page, they’re memorable and fun. The cuteness doesn’t stop with the invitations though–there’s tons of fun and adorable ideas here to pick up inspiration from. From decorations to desserts, pick your favorites and get started! This party focuses not only on the Legos, but also incorporates the classic block shapes of the building block. The decorations throughout the party are mostly square, including the table settings. This party is also full of fun and bright colors that would be appealing to just about anyone attending. This cake is nothing short of amazing! The sides of it done to look like a wall of brightly-colored Legos are fun, and I’m sure delicious as well. The characters on top look like they’re hard at work putting together their very own creation. If you’re looking for a cake to blow everyone away, then this is it. This lists a ton of ideas to create you perfect Lego birthday party. Pick from tons of ideas for snacks, desserts, decorations, and activities. The hardest part about any of these ideas will be picking out your favorites for your own party! This would be a fun experiment for any curious and creative boys out there. Simply freeze a Lego Minifigure into an ice cube and let them chip away or watch it melt. It could be fun to color the water for some extra brightness too! Who doesn’t love a good game of bingo?! Just print out the cards for this game and gather up the Lego pieces included on the cards. Use those to call out each piece. Also, you can use little Lego bricks to mark off which ones have already been called. This definitely incorporates Legos all over the place. If you’re in need of some Lego-themed games for your birthday extravaganza, look no further! This includes three super fun games that kids of all ages would have a blast playing. Play the relay race game after dessert so they can run out all of that sugary energy! This will get the building creativity flowing, which is perfect for anybody’s Lego-themed party! Let kids create their very own minifigures out of Lego pieces. Once they’re all completed they can take home their very own creation as a party favor, so that will be covered too! Get everyone involved in this game for some friendly competition! This fun and unique game with have all the kids working together to see who can figure out the most creative way to get their Legos through the tube the fastest. Find some small Lego-themed prizes to give out at the end such as a small Lego set or maybe some ribbons for first, second and third! Everyone loves charades, but this puts a Lego-themed twist on the classic game making it perfect for your party. Instead of acting something out, all the kids can work together individually or in small teams to build it! If someone can guess what they’re building, then they get a point. This would be a fun way to put your kids’ creativity to the test. 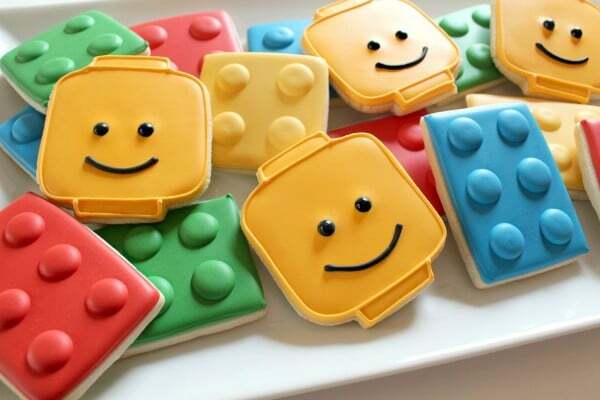 These Lego Man cookies are so sweet! Made to look like Lego bricks and character pieces, they are adorable. With some icing you can get the same look and wow everyone at your party when they step up to the dessert table. Push all your party guest’s creativity to the limit with this Lego grab bag game! Fill up a solid-colored bag with an assortment of random Lego pieces. Each party guest grabs a bag and from there they have to build something including all the pieces within the bag. Make it a friendly competition and create different categories such as the tallest creation or the most creative! 27. Lego Minute To Win it :: Play.Party.Pin. If you can’t simply pick one game, go with a few! This kid-friendly version of Minute to Win It will test just how fast they can make their own Lego creations. Make small teams or let them compete individually. This also has directions on how to create some decorations just for these games! This would be a fun activity during a summer party! Grab nine yellow plastic or paper cups and draw on faces that resemble the ones found on Legos. Stack them up in a pyramid and kick or throw a ball to see how many everyone can knock down! Put together your own Lego version of The Amazing Race! All of the different activities will keep kids busy all throughout the party, so no need to worry about planning a ton of activities for your party. All of the activities are Lego Ninjago-themed, but you can always switch them up or make up your own to fit your own theme. For a fun party activity and one that works for party favors as well, let everyone create their own Lego door hangers! Cut out the bits and pieces from scrapbook or patterned construction paper. Everyone will be able to give their door hangers a bit of personality and let their creativity run wild! They’ll end up with a party favor they’ll love and you’ll have a great party activity. For a Lego-themed version of Pin the Tail on the Donkey, try out this twist on the classic party game. This is sure to have kids laughing as they take their turn to place the helmet in the correct spot. If you wanted just a regular Lego-theme, then simply print a regular Lego Minifigure rather than the Clone Wars one. These would be an adorable way to give out party favors or decorate your tables! They’re super easy to create with some spray paint and stickers, making them some of the easiest DIY party decorations ever. Easy and adorable? I couldn’t ask for much more! For some free and fun activities, check out this printable workbook! It’s full of fun activities for your party such as word searches, coloring pages, and mazes. This workbook has it all and is chock-full of activities that will keep your party-goers busy. What’s better than a classic board game? Create this board game with the included free printable and some construction paper. This will keep kids busy for hours and wanting to win. How will people know when your party is without an invitation? Use these free printable invites for some Lego-themed fun. What kid doesn’t love a good coloring page? Keep those littles ones sitting and still for a little bit. This Lego Batman-themed page will keep them busy for a little while. Print these out for some creative fun at your party! Each kid can create their very own minifigure with this free printable. See who can make the most creative minifigure with this fun coloring page! For something a little different than coloring or the regular ol’ party activities, try this writing page out. This could also be a fun classroom activity to get kids to expand on their writing skills with a topic they would really enjoy! This pack is bursting with fun and free printables, some of my favorite things! These would be great for a party with a lot of Pre-K attendees. Not only would they find them fun and exciting, but it would help sharpen their skills in cutting or letter identification as well. With this printable, you and your partiers can practice spelling in a creative way. Let each kid create their own figures then they have to figure out how to spell them. This will not only be a fun and creative activity, but will sharpen their spelling and vocabulary skills! This has tons and tons of educational Lego printables if you’re in a pinch and looking for some party fun. With almost no preparation, these printables will be easy to get together and get started on in no time. No stress! This fun activity incorporates a few different things to keep kids occupied and using their creativity. They can color in each figure and also write out a few sentences. Learning and fun all in one! These adorable Lego cupcakes look fancy, but wouldn’t be too difficult to make! You can have professional looking cupcakes on your dessert table easily with these. Simply cut out the shapes with cookie cutters or cut them out by hand for easy decorations. 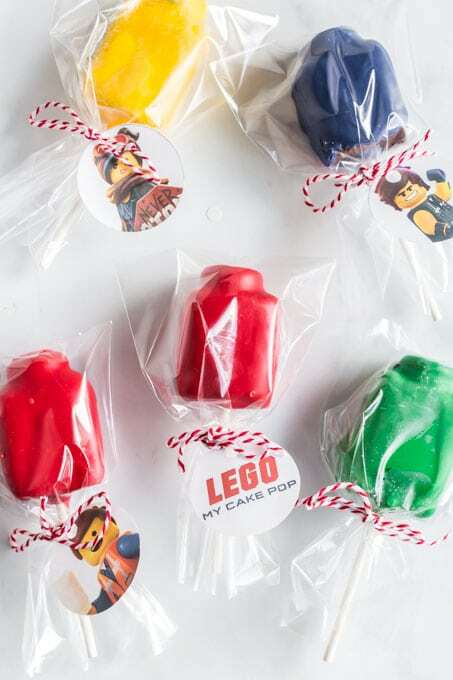 Give your desserts some character with these Lego cake pops! These could easily be made with a store-bought cake, meaning you won’t have to spend a ton of time baking. Draw your very own faces on them for some extra fun! These little cakes are so much fun! They’re easy to put together since the circles on top are just large marshmallows cut in half. Frost them in bright primary colors to get that signature Lego look on your cakes. Make the entire cake look as it it was made of Legos! This will look stunning sitting on your dessert table. It may take some time to get all the little pieces on there, but it will look amazing and the birthday boy will be sure to love it. This cake also looks as if it’s been built out of Legos! The little Lego figurines on top add an extra special touch along with the name of the birthday kid. This is sure to bring delight to your party. This cake has it all from the Legos on top to the Lego figure head! This would make not only an amazing centerpiece, but I’m sure it would taste delicious as well. The little Legos coming out on top and falling off the side look great. Don’t want plain, boring cupcakes, but can’t find quite the right decoration? Make your own! These little Lego cupcake toppers are adorable and add a sweet touch to your already sweet dessert. Looking for something simple to put on top of your cupcakes? There Lego head toppers are perfect! Made from marshmallows covered in bright yellow, they will add a pop of color and look great. These Lego toppers would also be an easy way to add a colorful and fun touch to your desserts. Simply using melting chocolate and a Lego mold, you can pop these Legos out in no time. They look like they could be taken right off the cupcake and used to build something! Legos are all about building, so why not focus on that in a cake? This construction zone cake has it covered with the Lego work on the side and the construction vehicles all around. The cone candles also add a cute touch! Legos are also about creativity and creating whatever you want. This cake has a lot of colors and characters that all seem to be creating right on the cake. This would be a fun centerpiece on your party’s dessert table. This cake is made up of clean lines and looks absolutely elegant. With some fondant, you can whip up your own version of this pretty cake. The subdued primary colors look great as well here. Can’t find your trusty cake stand? Why not make your own out of Legos? Find Legos in your party’s colors and get to building. This would be a fun way to incorporate Lego everywhere at your party! What more could boys love other than Legos and Superheroes? This cake combines them all into one! This Lego Batman cake looks amazing! With all of the little details on the face and the utility belt, this cake has it all. Plan an ultimate Lego themed boys birthday party with these great sources gathered by the team at Spaceships and Laser Beams. Don’t miss these great party ideas boys will love.